This Beagle appliqué pillow cover celebrates your trusty pup and adds a rustic modern layer to your interior space in flax beige linen and navy blue. This polished pup looks fetching on a sofa, in a chair, propped on a bed, greeting your guests on an entryway bench or anywhere else you can imagine. A facing pair makes a striking statement placed at the ends of a sofa or sitting pretty individually in a pair of chairs. Customize the Beagle color to coordinate with your decor in navy blue, classic black, dark charcoal gray, cool white or elegant ivory. A plush feather-down insert can be added to your order in the drop-down menu; with this option your pillow cover will arrive stuffed & ready to enjoy. 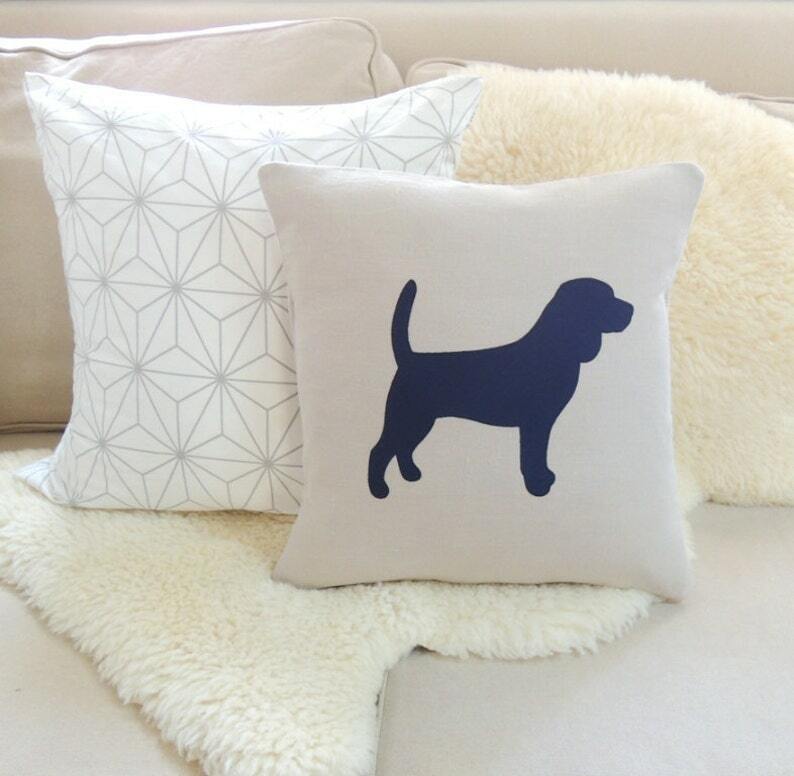 Beagle Dog Silhouette Pillow Cover © Vixen Goods. All rights reserved.